We have developed a wide gamut of Natural Food Colors which cater to the requirement of diverse industries. These food colours are available in oil and water base application in Powder Form. We also have the ability to customize our range of food colors as specified by the clients. 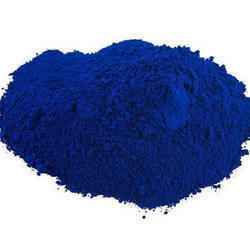 Offering wide range of Patent Blue Food Color. This range is prepared using best grade raw material and is reckoned across the world for its quality, purity, solubility, non-toxicity, and accurate composition. 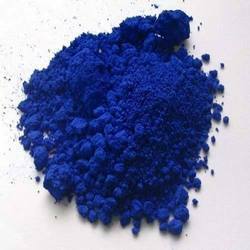 We are one of the leading manufacturers, suppliers and exporters of Acid Blue 7 which is formulated using the finest quality raw material. The offered products are extensively used to dye wool, nylon, silk and other fibers. Moreover, these are known for their color fastness, easy solubility and superior functionality. Application: Used in wool, silk and polyamide fiber fabric dyeing and printing, and can also be used leather, paper, cosmetics, soap, biological and rubber color.